The essential 14 muscle balance: This is the foundation of TFH. Using this tool you will experience positive change in your life and in the lives of the people that you touch. 4 fundamental pre-tests: Pre-tests assure you that the person you are balancing is responsive to manual muscle testing, and offer guidance as to how to lower their stress level so that they can be tested. 5 correction methods from Eastern and Western Manual Therapy: Once you know where to start balancing, these are the essential tools you use for positive change. Challenging a correction: By challenging the correction you are discovering if it has done its job, of if needs more time or help from another correction method. Circuit Locating: This is the way to find the quickest, most effective tool in your toolbox for balancing that specific person for that specific issue / goal. With Circuit Locating and One Point corrections you can swiftly parse the information you get from the muscle tests into a tightly focused assessment and correction protocol. Auricular Exercise, Visual Inhibition, Cross Crawl for Fun: These are general, quick ways to restore energy and balance that you can do yourself, with your family or teach you kids. These are some of the TFH tools that have found their way into Brain Gym and many other modalities. Emotional Stress Release: Introduction to this very easy, but extremely powerful correcting technique. Here is a blog post on ESR. Metaphor: Introduction to the use of metaphor as a correction tool for specific muscular imbalances. 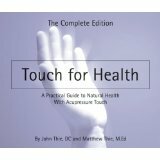 TFH 1 Required Reading: pages 1 – 85 of “Touch For Health, The Complete Edition” by John and Matthew Thie. Meridian Wheel and Five Element Balancing, One Point Corrections: These two models provide a framework for assessing where an imbalance can be corrected using one specific point. This is the essential tool to master in TFH and most of the more advanced training is built on this skill. Pre-Checks: Review and extension of the information in TFH I on Pre-Tests to enable you to feel confident that you are getting accurate information from your muscle tests. More Balancing Methods: Spindle Cell / Golgi Tendon / Acupressure Holding Points. 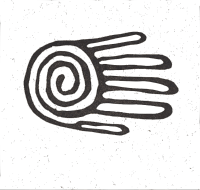 Yin / Yang concept: Discussion of how it applies to energy balancing. Alarm points: Using Circuit Locating, these points quickly indicate where excess energy is accumulating in the body – energy that can be directed to where it is needed. Emotional Stress Release for Future Performance: Here we get into some of the richer applications for Emotional Stress Release (ESR) where we find we can help make profound changes in peoples lives with basic techniques. The discussion includes time spent on the nature of stress and application of ESR with trauma victims. Cross Crawl Integration: Cross Crawl applications for correcting energetic imbalances. On the afternoon of the last day you will have the opportunity to balance real clients from my practice, and will leave the class feeling capable and confident that you can successfully assess and correct energetic imbalances. 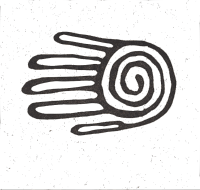 Required Reading: for this course is pages 232 – 272 of “Touch For Health, The Complete Edition“ by John and Matthew Thie. Enroll early, as class sizes are small, usually 8-10 participants and they often fill quickly. California Manual Therapy License # 7866.